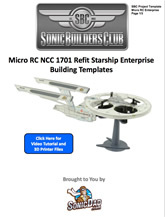 The Micro RC refit 1701 Starship Enterprise is an awesome project for Star Trek fans, or fans of RC Flight. 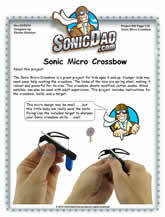 Made from a micro RC drone, paper templates, and a foam plate, this project is sure to please builders of all ages, although younger kids will need help with construction and fight. There's also a cool display/take-off stand that you can print on a 3D printer. 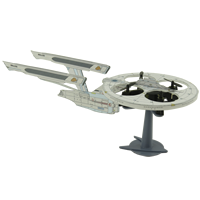 So channel your inner Captain Kirk and build a flying Enterprise of you own! Paper templates for the Enterprise, and .stl files for the display base are included in the project.